PLEASE READ THE ENTIRE PERSONAL AD BEFORE YOU EMAIL ME. IF YOU EMAIL ME AND YOU ARE NOT WHAT I AM LOOKING I WILL DELETE YOUR EMAIL AND BLOCK YOU. I AM NOT LOOKING FOR A GOOD TIME. PLEASE NO MEN LOOKING FOR A PARTNER TO JOIN IN WITH THEIR WIVES. ONLY USA WHITE MEN ONLY. Hello. 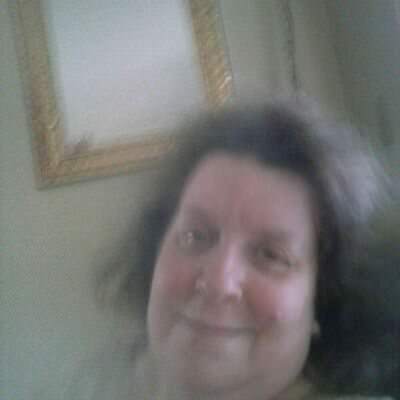 I am 49 and I’m a straight white female from Richmond Indiana and I am seeking friends for now. I am a super sized big beautiful woman. (SSBBW) I just got out of a 5 1/2 year relationship and was in a 15 year marriage and divorced. I have been divorced since Sept 2009. The last 22 years I have been in 2 relationships. I don`t have any kids but I have 2 nieces, 2 great nieces and another niece on the way due in September. I am handicapped due to severe degenerative arthritis and fibromyalgia. I have lymphedema in my right leg. Willing to relocate for the right man if we hit it off. No overseas men. I am seeking a STRAIGHT USA ONLY white teddy bear big guy 40 to 53 overweight big guy who is 5 foot 7 and over. I like facial and chest hair and really like bald guys but if a guy has hair that’s ok too. Asking for light or no smoker/very little drinker. Kids are very welcome. The guy should know how to romance a woman and be very loving, caring and know how to treat a woman well. Must have a great sense of humor without being silly acting. YOU MUST BE TRUSTWORTHY! Only single men, or divorced men or widowed men.